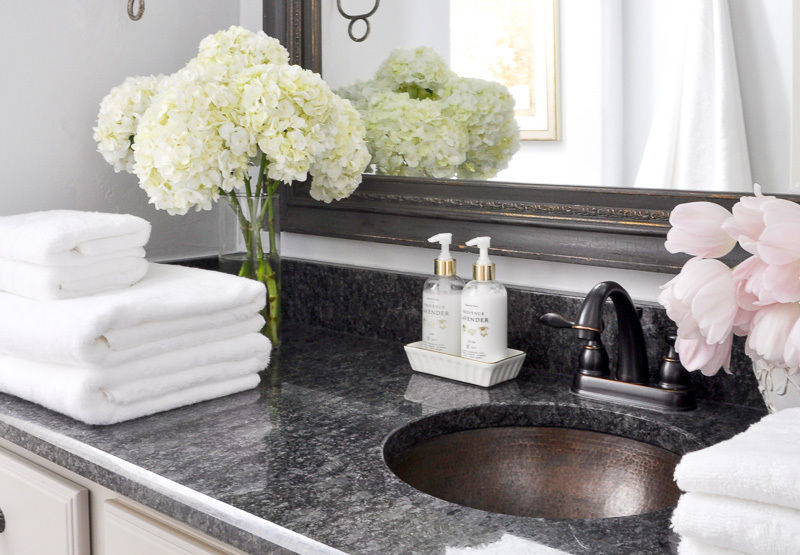 Is your home’s guest bedroom and bathroom ready to welcome your guests? 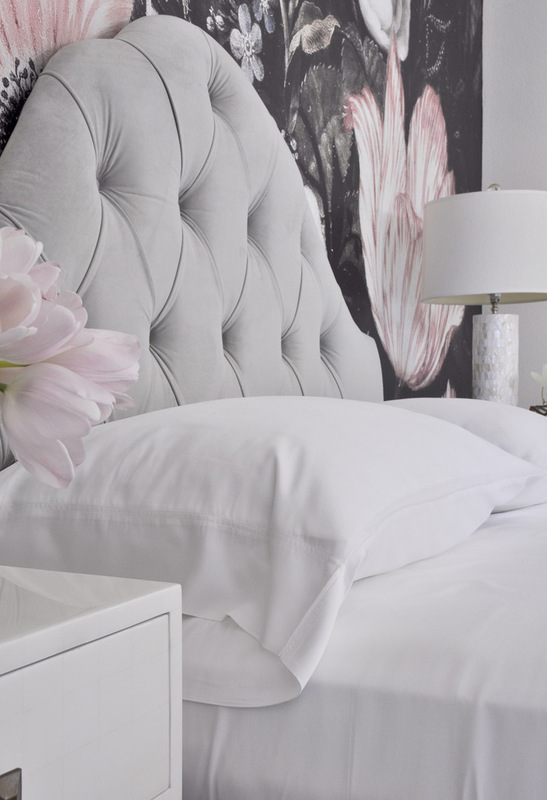 With so much focus on the master bedroom, we all could use a little help with preparing for guests as the busy travel season approaches. Therefore, I think it would be fun to focus on readying the guest bedroom. Here are a few tips and suggestions on how to make it “guest ready” which should make the most discerning host smile with approval. We all enjoy feeling comfortable when not in our own home. Although, that can be challenging at times. Many hotel brands have mastered the marketing appeal of comfort. 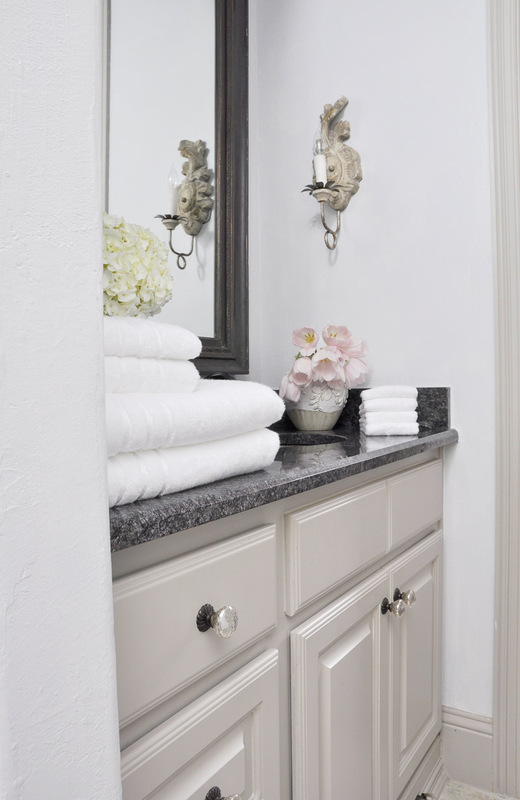 Towels, sheets and mattresses are typically a focal point. These brands specialize in appealing to guest comfort. 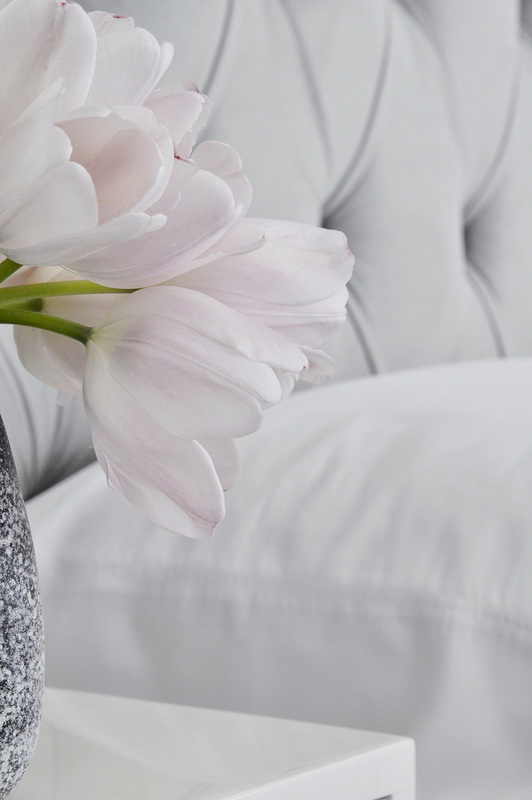 To make your visitors comfortable, I came up with a few must-haves which I am excited to share with you. If you have been following along on the blog or on Instagram, you probably know I am updating our guest bedroom. You may also remember an update I did to my other guest room last fall. I have been so focused on getting these two rooms ready from a visual perspective that I almost forgot to think about bed and bath basics. As I approach the completion of guest room #2, I decided to begin the process of updating some essential bed and bath pieces. I partnered with my friends at Cariloha for this update and I am thrilled to share the items I selected. First, let’s start in the bedroom, shall we? Here, I chose the Resort Bamboo Bed Sheets. My husband Tony happened to be home when I was making the bed. I wish I would have noted all of the complimentary things he had to say about this sheet set. They have a sateen finish which makes them feel incredibly soft. Additionally, they have thermal-regulating properties. 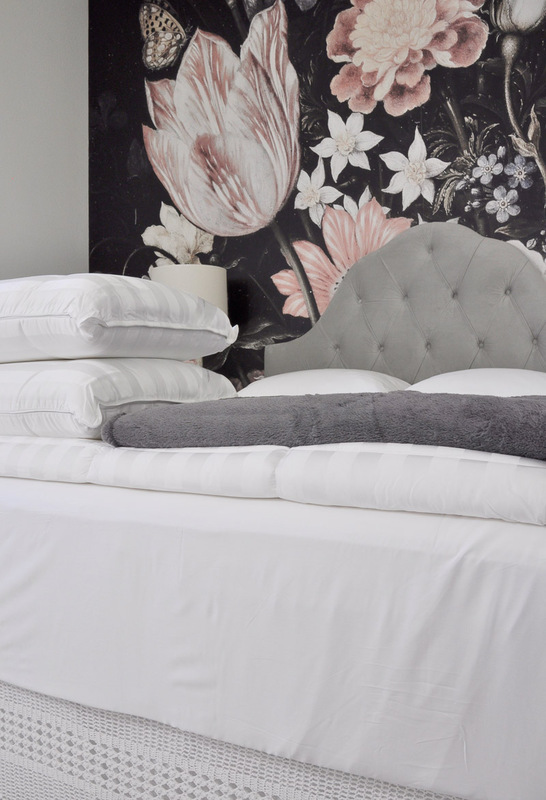 These sheets help you feel warmer in winter months and cooler in the summer.Therefore, say goodbye to kicking the sheets off the bed during the summer months because you are too warm. I also added the Bamboo Comforter. The dreamy, comfy feel of it is so luxurious. I’m seriously contemplating sleeping in here tonight! Also, when I am expecting guests to arrive late at night, I try to turn down the sheets and remove the decorative bedding. Who doesn’t love turn down service? 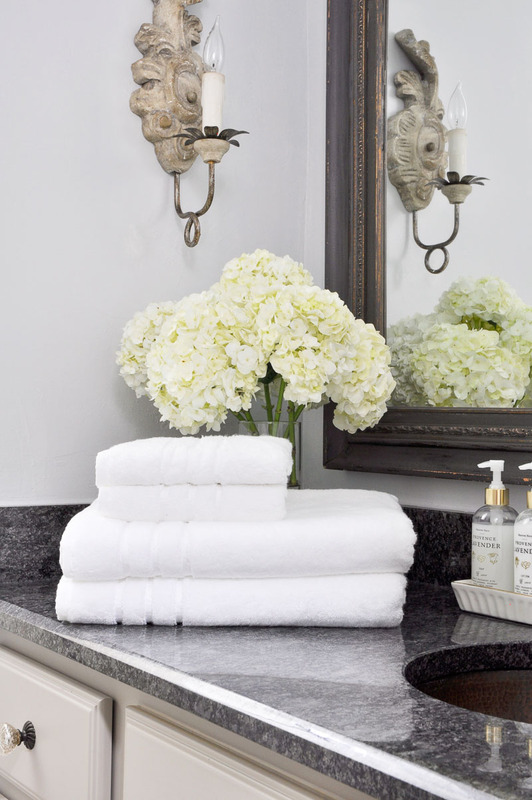 I’m curious, do any of you put your old master bathroom towels in your guest bathrooms? I have been guilty of doing this in the past. So, this year I vowed to update all of my bathroom necessities. I chose Bamboo Bath Towels, Bamboo Hand Towel Sets, and Bamboo Washcloth Sets. They are truly special and like the sheets, as soft as can be. I’m sure you don’t want your guests to have to search for things. 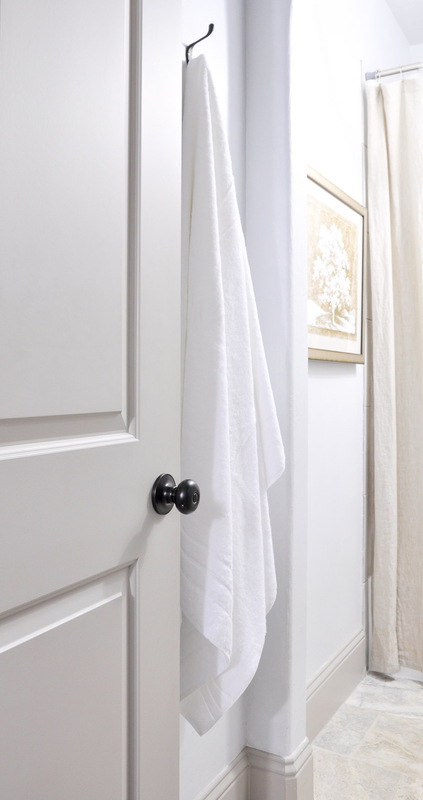 It’s nice to leave out a couple of towels and washcloths so they don’t feel they have to snoop around in your cabinets or closets. Now that we have covered the basics, let’s talk about the extra touches which could make their visit feel extra special. After all, there will always be someone you wish would never leave. In the bedroom, I added a Plush Bamboo Throw Blanket which is easily found. 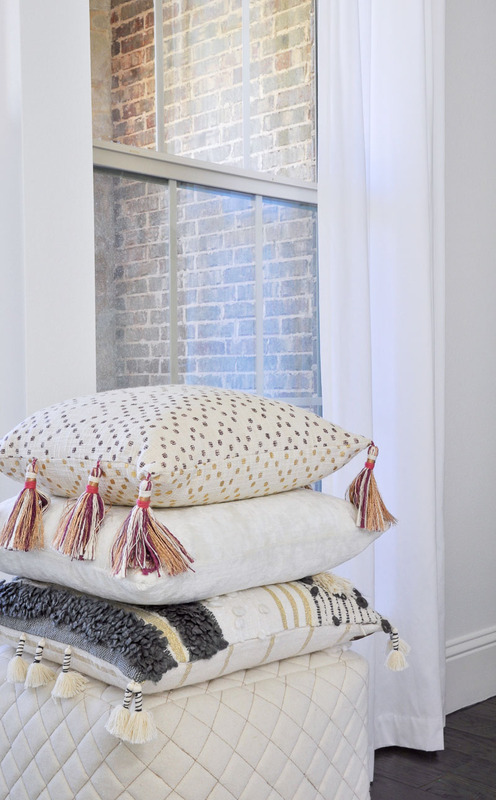 Another idea for taking the guest bedroom experience to the next level, amazing pillows. I chose the Cariloha Retreat Pillows. If you sleep on one of these, you will know a new level of comfort that has been missing from your life. In the guest bathroom, I added the Bamboo Bath Sheet which comes in generously sized at 40″x 70″ and offers a luxury experience for its users. I would be remiss if I didn’t mention that I also ordered The Cariloha Bamboo Mattress for the guest room I am currently updating. You can see and read all about this mattress here. Well, there you have it. 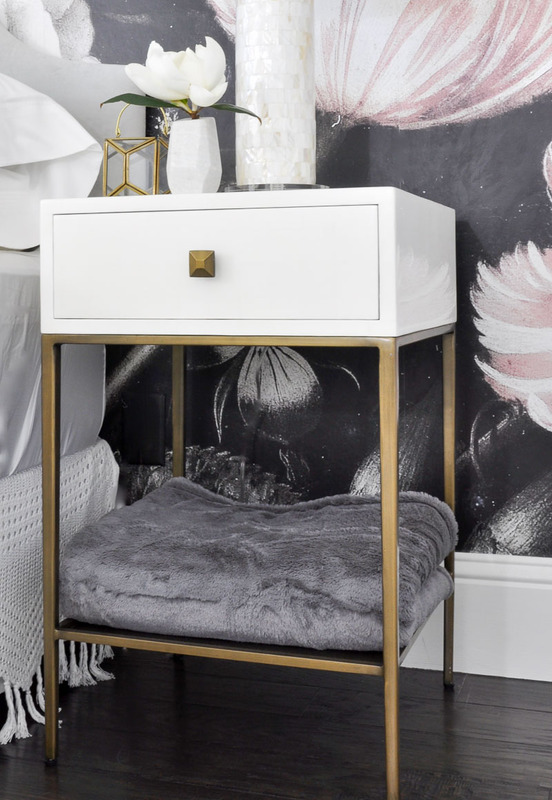 By updating a few items in your guest bedroom suite and ensuring your guests can easily locate necessary items of comfort, they will be grateful and their experience will be enhanced beyond their expectations. 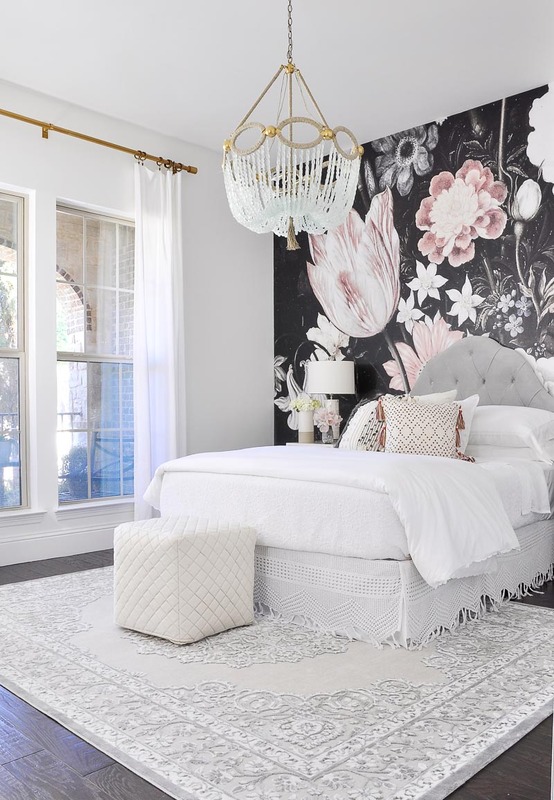 If you are looking for more guest room inspiration, you can find it (and that Cariloha mattress I mentioned) in my recent Guest Room Reveal! As always, thank you for visiting Decor Gold Designs! If you would like to get updates from us, please consider subscribing to our newsletter by clicking here and filling out the form. *Cariloha sponsored this post. I only work with brands I truly love and all of my opinions are my own. Thank you so much Tamara! It definitely feels good to have upgraded a few guest bed and bath necessities! Thank you so much! I was planning to change a few things before I shared it, but once I added such pretty new towels, I couldn’t wait any longer! Thanks so much for stopping by! Jen, everything looks so soft and beautiful! I’ll have to check them out! Your guests are lucky!! Thank you Haneen! I won’t have to be embarrassed of old, scratchy towels anymore! What a great post! All of the linens look fabulous! 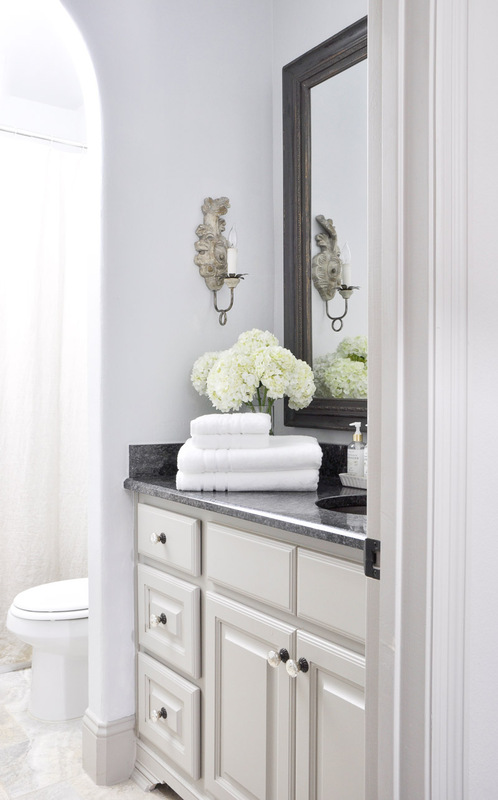 I just LOVE this guest bathroom…every little detail. Stunning! Would you mind sharing your cabinet paint color? It’s just beautiful! Hi Jennifer! Thank you and my apologies for the delay. The color is Pittsburg Paint Silver Dollar. Thank you! It’s just gorgeous! May I be your guest?? 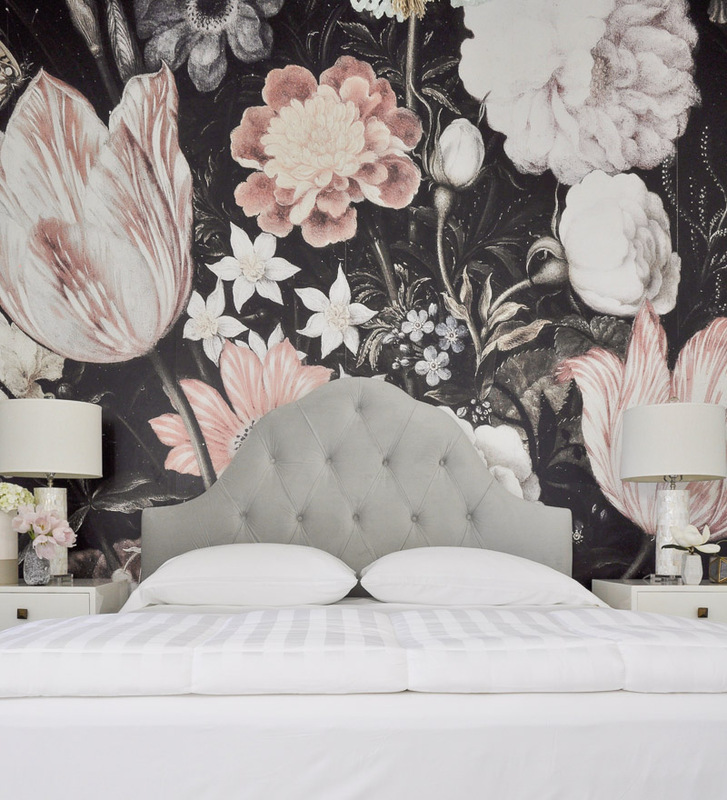 This bedroom is a total DREAM!! 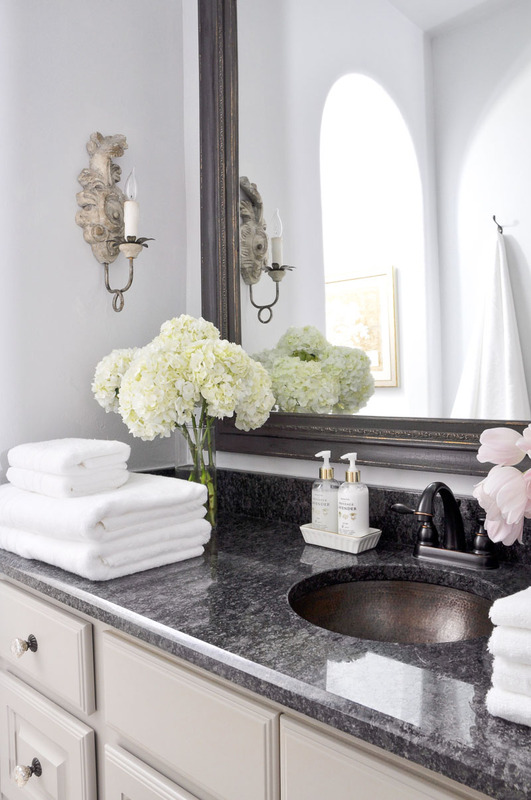 And yes, I’m so guilty of putting our older towels in the guest bathroom (what is wrong with me??). Love all of your tips and I’m going to take action in our home now! Thanks so much Shauna! 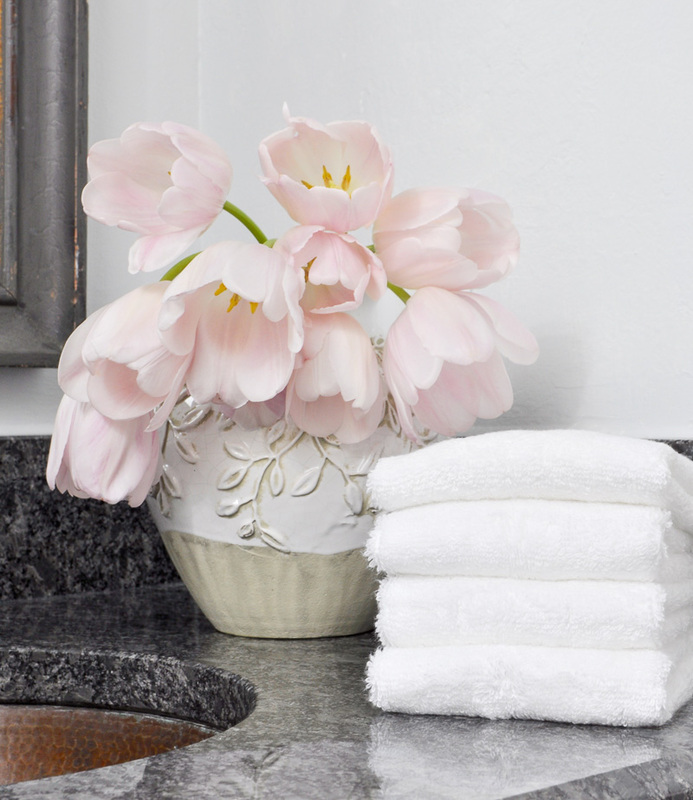 I’m glad I’m not the only one who didn’t always have the nicest guest towels….but that’s all in the past! Thanks for stopping by and please be my guest! Thank you so much Randi! You know I would LOVE to have you as a guest! Beautiful room! Where is the chandelier from? Thank you Jen! It is from Ro Sham Beaux!